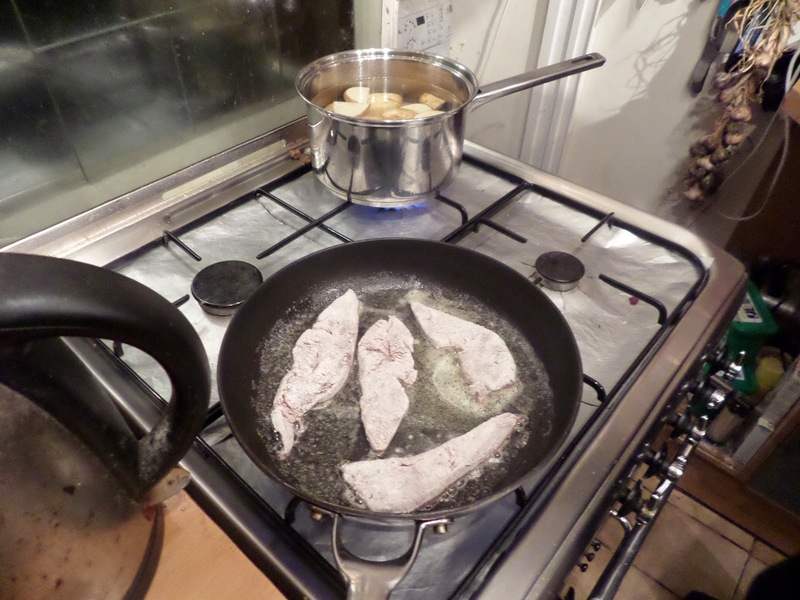 I never liked liver as a kid, and didn’t much like it as I got older. But like many foods that are good for you, once I started getting healthy I found myself liking them. 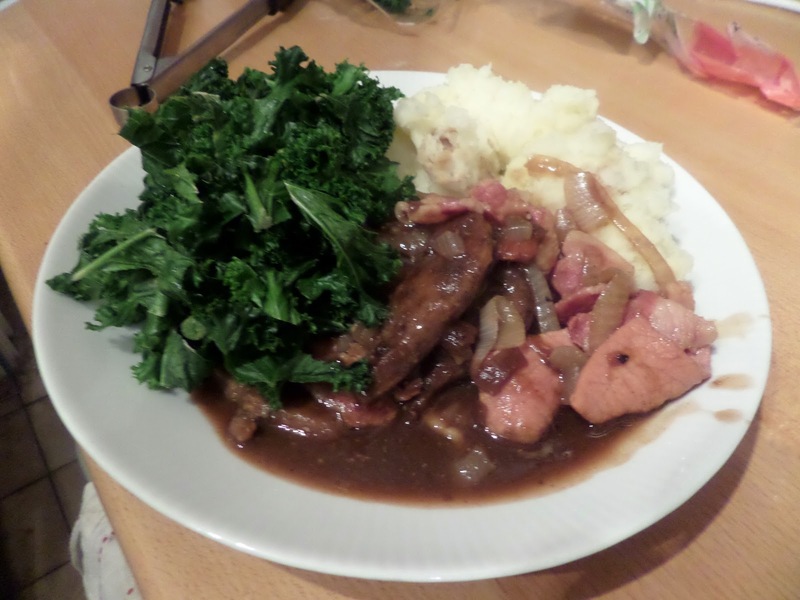 So as the weather turns colder it’s time for a nice warming plate of liver and bacon, with mash potatoes, greens and onion gravy, based on this Hairy Bikers recipe. 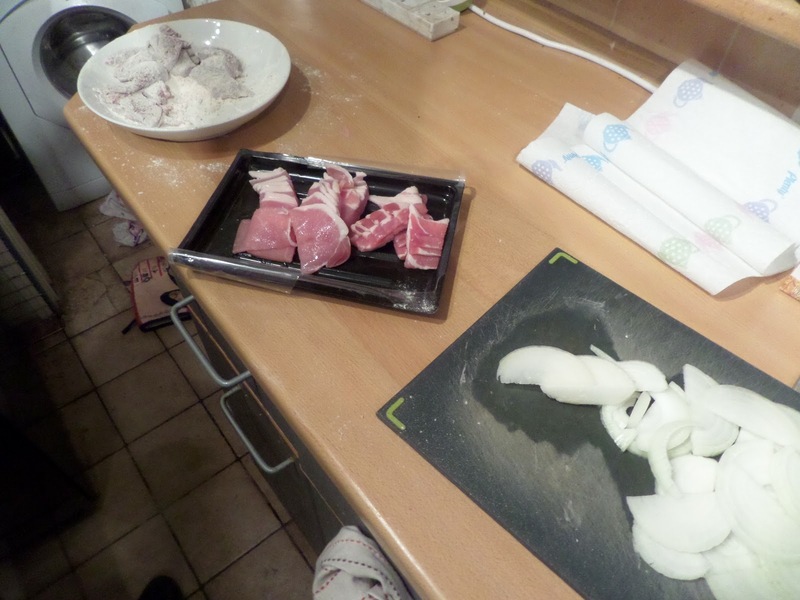 So rinse an coat lamb livers, prep bacon and onions. 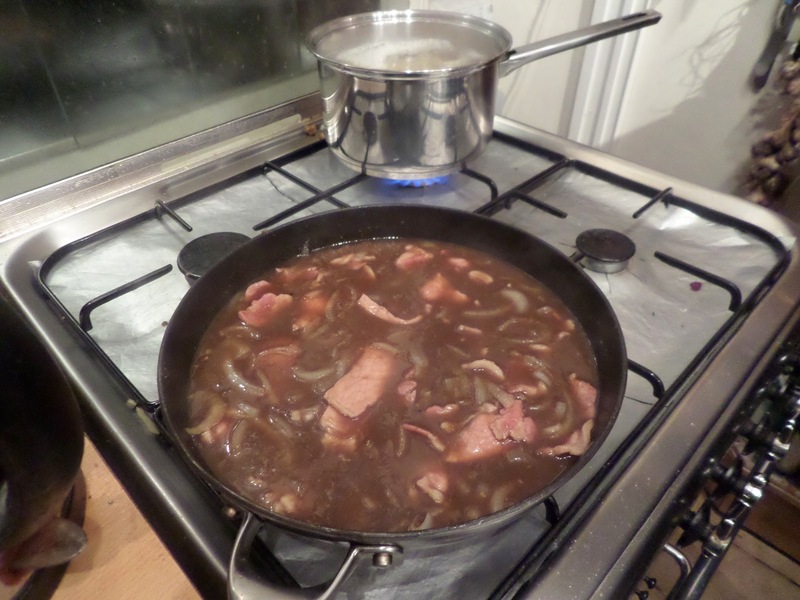 Remove livers and fry up onions and bacon, and add stock. Sophie makes a delicious liver pate.